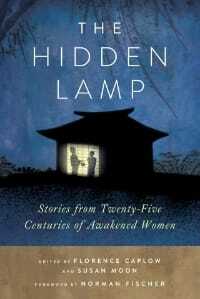 The Hidden Lamp: Stories from Twenty-five Centuries of Awakened Women is an engaging anthology of Zen koans and commentaries. 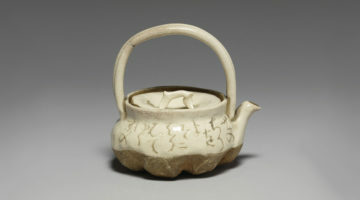 All of the featured koans involve a central female character and all of the commentaries are by accomplished contemporary women Buddhist teachers. This excerpt is a moving koan and commentary by Reigetsu Susan Moon. The old man left without a word. This koan comforts me because Satsujo is being completely human, weeping and wailing over the death of her granddaughter, and this is not quite what I expect from a Dharma story. Aren’t we supposed to let go of attachment? Embedded in the story of Satsujo’s tears are the well-known stories of Buddha’s disciples, Patacara and Kisagotami, who each came to Buddha crazed with grief after the death of their children. Buddha’s response to Patacara was, “Sister, recover your presence of mind.” Both women did, after he helped them understand that every family knows the death of loved ones. As a mother and a grandmother, I can’t imagine any suffering greater than the death of a child. That’s why the stories of Patacara, Kisagotami, and Satsujo are so powerful. They are archetypal. When I was two years old, in the midst of World War II, my mother had a baby boy. My father came back to Chicago from the army base in Columbus, Ohio, where he was in training to visit the baby, and my parents named him Benjamin. When Benjamin was five days old he died because he had a hole in his stomach that they didn’t know how to fix. My father got leave to come again, and they buried the baby. Soon after, my father was sent overseas. Many years later my mother told me that as she was folding up the baby clothes and putting them away in our little apartment, she couldn’t hold back her tears, and I stood there watching her—two- year-old me—and I said, “Don’t cry.” (Please, Mom! Recover your presence of mind!) Her tears must have been frightening to me—she was my whole world, after all. But would it have been better for me to have a mother who could hold back her tears at such a time? When is it okay to weep? What was the difference between Satsujo’s tears and Patacara’s? Patacara was completely overwhelmed by grief. She had lost not only her children but her faith, her groundedness, her sense of connection. She needed Buddha’s guidance. When is it a good idea to tell someone who is suffering to lighten up? The old man was not trying to alleviate Satsujo’s suffering. He was worried about her reputation, and perhaps he didn’t like her tears because he didn’t know what to do. He didn’t like the snot and he didn’t have any Kleenex. And she would shout: “It is too that bad! Why won’t you believe me? !” And she became even more upset. I was like the bald-headed monk, telling her to cool it, more for my own sake than hers. But finally, in the last year or so of my mother’s life, I stopped telling her to lighten up. I learned to listen better. This is a good way to help a person recover her presence of mind. Satsujo respected her own grief. It was a sign of her deep connection to her granddaughter. She didn’t need to be told to recover her presence of mind because she never really lost it. She knew that children need to live in a world where old women weep at the death of a child even if they have studied Zen for many years. Excerpted from The Hidden Lamp: Stories from Twenty-Five Centuries of Awakened Women, edited by Zenshin Florence Caplow and Reigetsu Susan Moon. © 2013 by Florence Caplow and Susan Moon. Published with permission of Wisdom Publications. Susan Moon is a writer and teacher and for many years was the editor of Turning Wheel, the journal of socially engaged Buddhism. 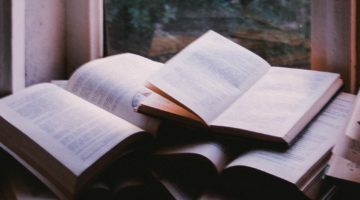 She is the author of This Is Getting Old: Zen Thoughts on Aging with Dignity and Humor and The Life and Letters of Tofu Roshi, a humorous book about an imaginary Zen master. She edited Not Turning Away: The Practice of Engaged Buddhism.